It seems that young wicketkeeper Rishabh Pant's great Australia tour has not gone unnoticed as chief selector MSK Prasad heaped praise for him. 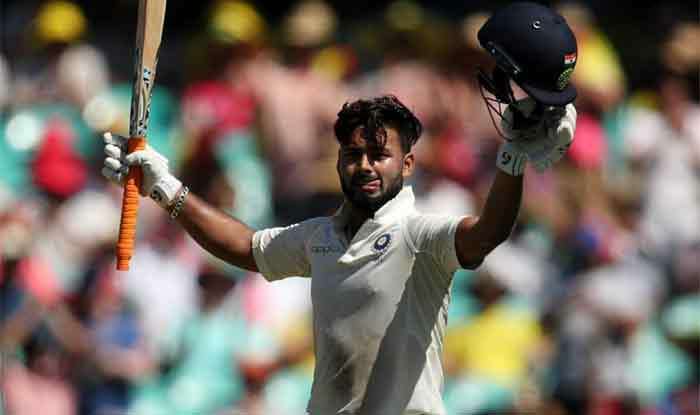 It seems that young wicketkeeper Rishabh Pant’s great Australia tour has not gone unnoticed as chief selector MSK Prasad heaped praise for him. Rishabh Pant is a “champion cricketer in the making”, who is very much in the mix for the 2019 India’s World Cup campaign for his ability to seamlessly switch formats, says the chairman of selector MSK Prasad. After being “rested” for the ODI series against Australia and New Zealand, there have been conjectures about his place in the England-bound squad but Prasad set the record straight about selection committee’s plans about talents such as Pant and Shubman Gill. “Rishabh Pant played three T20s and four Test matches in Australia and that had an impact on his body. He needed complete rest for two weeks and then we will take a call on how many matches he will play against England Lions. Let me put it straight, he is very much in our World Cup plans. He is a champion player in the making and even he is not fully aware the kind of potential he has,” Prasad told PTI in an exclusive interview. “Ravi and Virat had advised him to put his head down and respect the match situation and he did exactly that. He proved that he can switch gears seamlessly. When we picked him for Tests, experts were skeptical about his keeping but 11 catches in a Test in England, record dismissals in Australia series proves that selection committee is vindicated,” the former India keeper stated. The head of the selection committee is equally excited about young Shubman Gill as he feels that the enormously talented Punjab batsman is now ready for international cricket. “Shubman is comfortable both opening the innings as well as playing in the middle-order. For New Zealand series, we are looking at him as the reserve opener behind Shikhar (Dhawan) and Rohit (Sharma). I won’t comment if he will make it to World Cup but he was phenomenal as an opener for India A in New Zealand. “We have discussed with Rahul (Dravid), that Shubman is ready for international cricket. The best part is the clutch of A tours which has made all these players battle ready for the biggest challenge,” the eloquent Prasad said. “I regularly discuss the progress of the players with Ravi and Rahul. Have a look at how we have planned a player’s progression from Ranji Trophy, A team to senior team. Look at Hanuma Vihari and Mayank Agarwal. They don’t look intimidated when thrown into the deep end of the pool,” said Prasad. “We received flak when we had replaced world’s No 1 and 2 spinners (as per ICC Rankings) with two young wrist spinners. One and half years down the line, they (Kuldeep and Chahal) have had a contribution in at least 70 percent of India’s limited-overs wins,” the satisfaction was evident in his voice. While Kuldeep is now firmly in the Test team mix after his five-wicket haul in Sydney but Prasad reckons that he still has “some way to go” as Ashwin and Jadeja are still the country’s premier spinners in the longest format. “Trust me, had Jasprit played those two Tests against West Indies, he wouldn’t have played all four Test against Australia. The support staff has really monitored him well. He is now fitter and stronger and with Bharath Arun continuously working with him, he has improved as a bowler,” Prasad was all praise for him. “But a lot of credit should go to Jasprit because Arun gave him a plan but it was up to him to make the effort to implement the plan. He has really worked hard. When we first picked him, so many were skeptical whether it was prudent to pick a white ball specialist but at the end of the year, we can all see the results.” Mohammed Shami’s peak fitness during the season and his ability to bowl at the same speed during third and fourth spell could be attributed to the Bengal speedster’s new-found love for following fitness regimen. “Shami was one such bowler, who has of late started enjoying fitness routines, which wasn’t the case earlier. Trainer Shankar Basu has prepared an exclusive chart for him, which he follows religiously now. “His craft as a fast bowler was never doubted but it was his fitness that used to let him down. If you saw, he was bowling 140 plus in the last Tests in England and Australia. Shami’s fitness has been the biggest plus for him,” Prasad concluded.